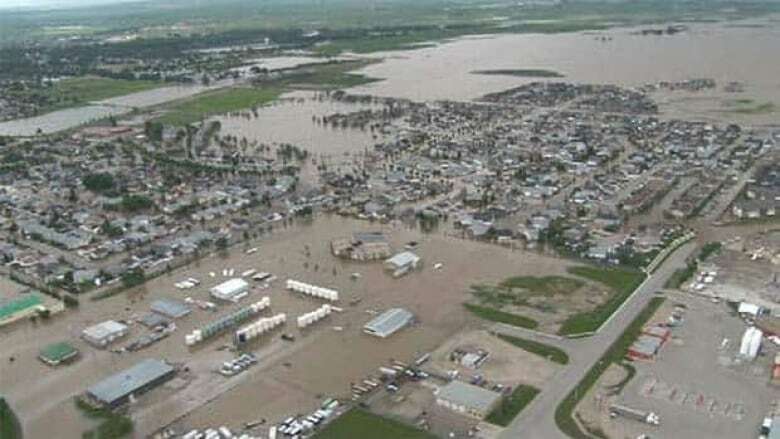 Successive Alberta Conservative governments failed to act on a shelved 2006 flood-mitigation report that critics now say may have significantly reduced flooding, the displacement of thousands of people, and potentially hundreds of millions of dollars in damages. "[The report] was very prescient," said Paul Kovacs, executive director of the Institute for Catastrophic Loss Reduction, a think tank at Western University in Ontario. "In 2005, [Alberta] had a terrible rain event, and the first line of the report said there was the risk that we could have an extreme rain event again," Kovacs said. "People could die, properties could be damaged. And that is exactly what we are going through right now." The government commissioned the Provincial Flood Mitigation Report following floods in southern Alberta in 2005 that were then considered the worst natural disaster in the province’s history. That flooding killed three people and caused more than $400 million in damages. The government paid out more than $165 million in flood-damage costs. Completed in November 2006, the report made 18 recommendations. But, inexplicably, the report was shelved for nearly six years and was only publicly released on a Friday before a long weekend in late July 2012. Alberta Municipal Affairs Minister Doug Griffiths said he didn’t know why the report wasn’t released. He has so far been unwilling, or unable, to explain which, if any, of the report’s recommendations were acted upon. After a news conference Saturday, Griffiths told CBC News all the recommendations were a "work in progress." Kovacs has studied disaster-mitigation reports from all over the world for the past 16 years. He reviewed Alberta’s flood-mitigation report at the request of CBC News. He said the report was "solid" because it was comprehensive and summarized all the best flood-mitigation practices. Griffiths insisted that even if the recommendations had been implemented, it would not have made any difference. 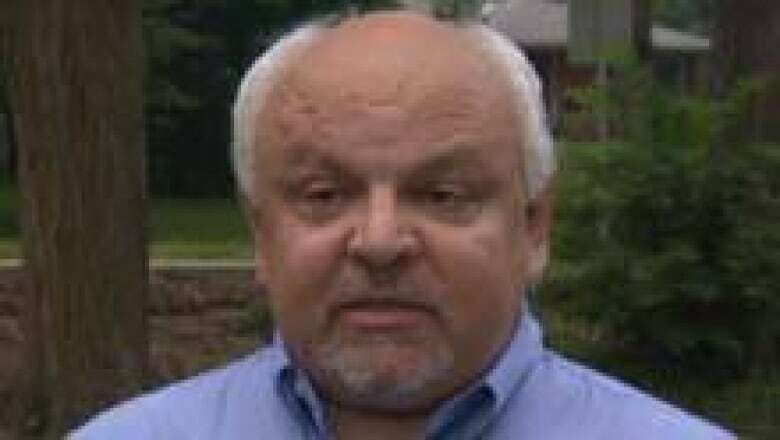 "The flood plan was to mitigate one-in-100-year disasters," Griffiths told CBC News. "We’re talking about a one-in-1,000-year disaster. There isn’t enough money to mitigate that." "If one of the responses to the 2005 flood had been to implement the majority of the recommendations then the negative aspects, the harm being caused now in 2013, would have been greatly reduced," Kovacs said. "This is a terrible storm so I don’t know that we would have eliminated them, but we would have greatly reduced the loss of life and property damage." The report’s main recommendation called for the province to spend more than $300 million on flood mitigation in 54 municipalities. Griffiths suggested Alberta was still negotiating with Ottawa on a funding formula. But Kovacs said while that is true, Alberta simply did not make flood mitigation a priority. "For those jurisdictions that are keen to move forward [on flood mitigation] there are ways to do it," he said. "The Province of Manitoba is investing right now in flood defence. They have been working, using provincial and federal funding." Kovacs pointed out that Alberta could have tapped the federal Building Canada infrastructure program. The province did, but instead chose to use that money for projects such as road improvements and even arena and leisure-centre upgrades. The Infrastructure Canada website lists dozens of federally funded projects in Alberta, but none for flood mitigation. "Alberta did use a lot of federal funds," Kovacs said. "But I don’t believe you used them for flood defence." Former Conservative MLA George Groeneveld chaired the panel that produced the 2006 report. At the time, he was the MLA for Highwood, which includes High River. The town suffered severe flood damage in 2005 and exponentially worse damage in the past week. Groeneveld still doesn’t know why the government never acted on the report. "I guess it wasn’t high on their priority," he said in an interview from his rural home on a ridge above the swollen Bow River. "When you have a flood, you have about a year where it is fresh on people’s minds and they want to deal with it," Groeneveld said. "But after the first year, it seems that window closes fairly rapidly. So [the report] kind of gathered a little dust." Groeneveld said Premier Allison Redford personally ordered the release of the report, something MLAs, including a Tory MLA, had been requesting for years. Hansard, the official record of the Alberta legislature, shows now-former southern Alberta Tory MLA Evan Berger asked about the status of the report twice in 2008 — on May 26 and June 3. Wildrose MLA Pat Stier asked again on May 30, 2012, while accusing the government of failing to act on the report. On March 21, 2013, eight months after the report’s release, Wildrose Leader Danielle Smith asked Griffiths to provide a list of priority flood-mitigation projects. The municipal affairs minister could not. "I think Minister Griffiths has done a very good job of responding to the crisis at hand, but I have to say that his department has fallen short on the flood-mitigation measures that could have been taken," Smith said. "We know where the rivers are," she said. "We know the ones that are likely to flood. We know the period of time that we have to do these kinds of measures before we face another major flooding event." Smith conceded that no level of mitigation could have prevented the flooding in her home town of High River and elsewhere in Alberta. But she firmly believes the damage could have been reduced. "There is that adage about the ounce of prevention being worth a pound of cure," she said. "And I have say, that is the case in spades when you’re talking about flood incidence and water damage. Hopefully, it will be a cautionary tale so that we do it right next time." Groeneveld said the one recommendation that should have been implemented years ago was to ban development on flood plains. "That to me was the strength of the report," he said. "Stop building where we should not be building." Paul Kovacs of the Institute for Catastrophic Loss Reduction said Groeneveld’s report should have been released because the first, most-important, step toward action is transparency. "Reports like this can allow a consensus," he said. Kovacs said governments that stifle the release of this sort of information invariably fail to take protective action. Groeneveld said he hopes Redford "dusts off" his report. "Because once again, if we don’t get that done quickly, that window will close once again," he said. "People have very short memories."